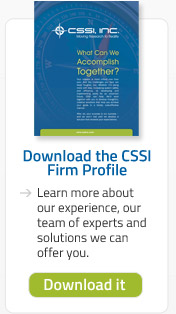 A Data-Driven, Model Based Operational Analysis Service | CSSI, Inc.
Customers struggle to accommodate dynamic changes their systems, infrastructure, and organizations. These changes typically involve large numbers of stakeholders, declining budgets, fluctuating populations and migrations, changing regulations, and long lead-times. Most organizations do not have sufficient numbers or types of analysts, experts, and computational resources on standby to solve these highly complex problems. CSSI, Inc.’s Operational Analysis (OA) service team stands ready to help. We use data-driven operations analysis to solve complex problems related to real and proposed changes that may impact capacity, efficiencies and effectiveness. Our OA solution bundles our conceptual design, analytical, planning, and management expertise OA teams consist of a diverse team of analysts, engineers and scientists with relevant experience and knowledge of the problems we are chartered to solve. These teams address the root cause of a problem, develop executable plans and manage the process to ensure success. In turn, customers can increase their system and infrastructure capacity, strategically position themselves for emerging industries, optimize systems’ life-cycle costs, and select best alternatives now while preparing for the future. Our team uses a unique solution generation approach to identify solutions, and then tests alternative solutions using complex models and simulations to evaluate the probability of success. This OA method is compliant with most federal agencies' systems engineering policies. On the SE2020 contract, we have successfully analyzed air traffic to safely increase its density using the aspects of the SOSEA service. 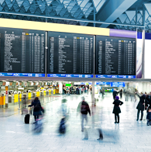 In addition, the SOSEA service leverages CSSI’s understanding of federal air transportation policy, its experience dealing with diverse stakeholders and its excellence in analysis. CSSI has applied multifaceted experience in analysis and problem solving to help the FAA make wise decisions when it began automating air traffic control and the availability of discreet transponder codes to uniquely identify aircraft.